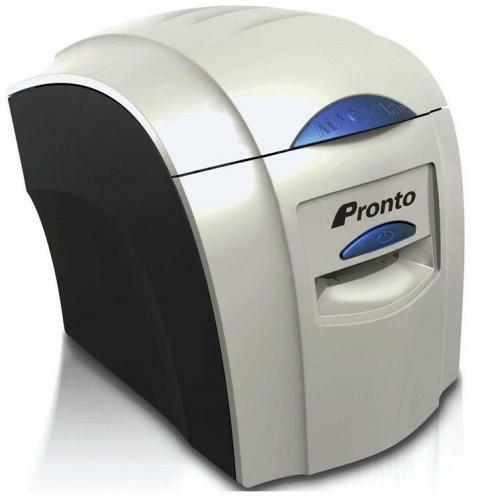 If you need an easy-to-use, single-sided, hand-fed ID card printer that�s both compact and affordable, the Magicard Pronto Single-Sided ID Card Printer prints high-quality IDs with vibrant colors and crystal clear text. 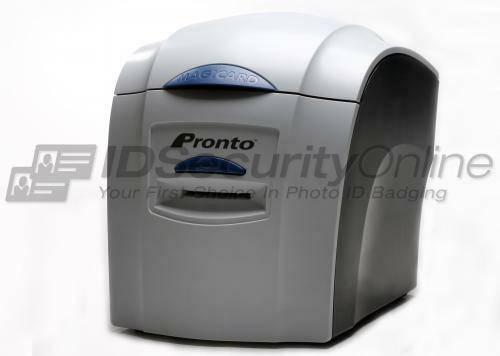 The Magicard Pronto also prints a unique watermark for identification and security purposes at no additional cost. 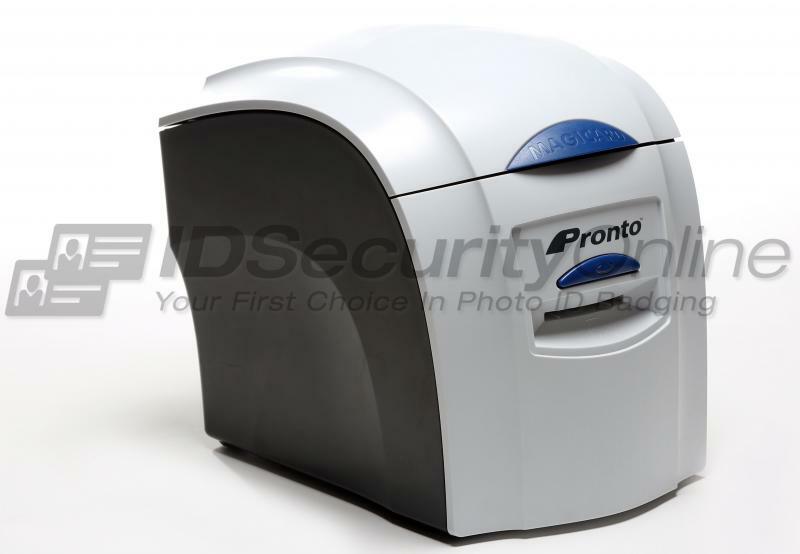 Included with the Magicard Pronto Single-Sided ID Card Printer is the advanced Holo Kote, a patented technology that prints a secure watermark during processing. 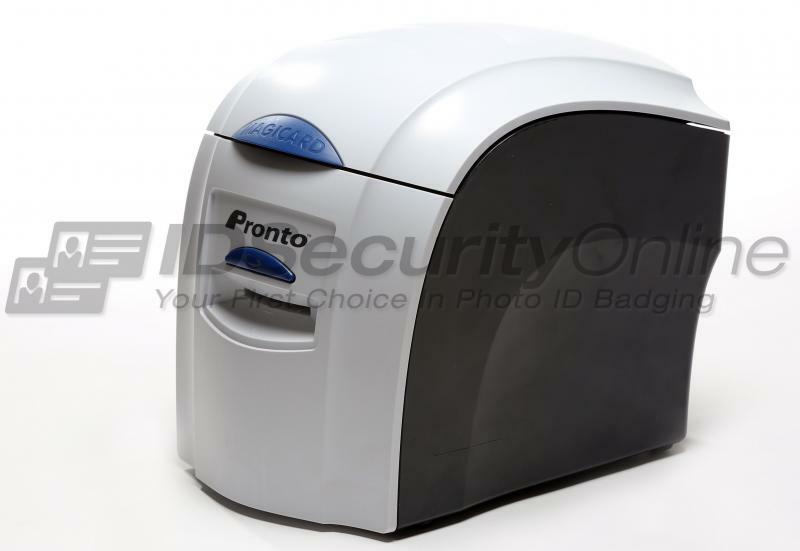 You can choose from 4 standard watermarks to customize your badges for visual security purposes. The Magicard Pronto Single Sided ID Card Printer features a 2-year limited warranty. 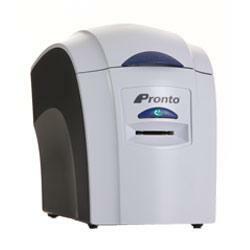 The card reader worked well for our trade show. 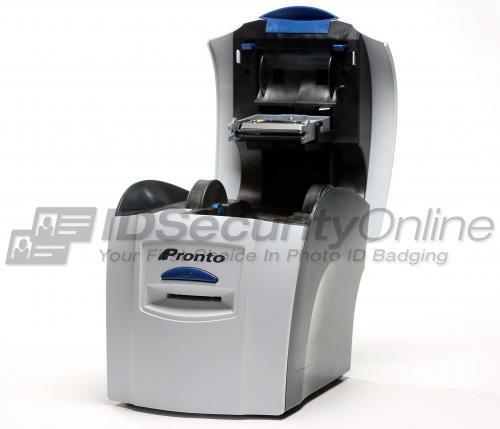 140 1 The card reader worked well for our trade show.